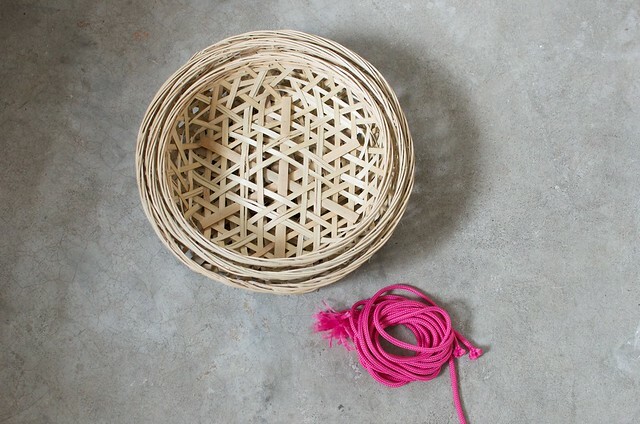 Woven bamboo baskets are an iconic element of everyday life in Hong Kong and Asia in general, obviously they were the vessel of choice prior to plastic knocking them off the top spot when it comes to holding stuff. But even so, there remains a tradition of hand made bamboo steamers (see what you can do with one here), bamboo pillows (yes really) and baskets of all sizes. 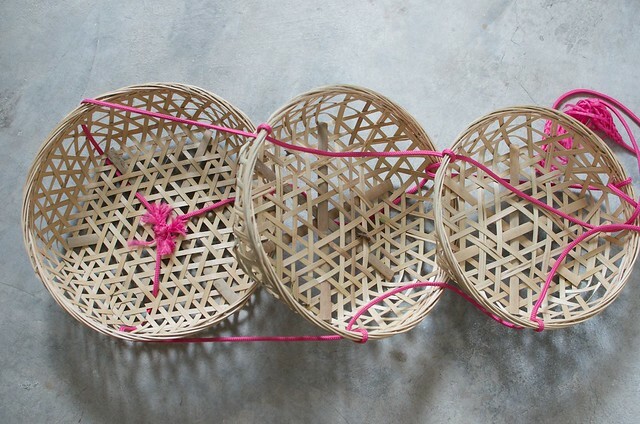 My favourite stores literally heave with woven bamboo baskets of all kinds, many of them the perfect blank slate for a DIY enthusiast. So in this second (or third, or it is fourth?) 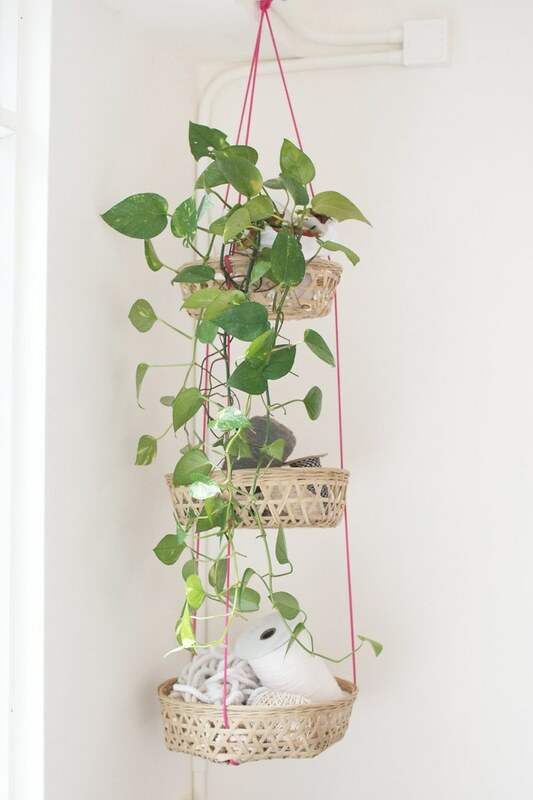 episode of ‘fun with bamboo’ today I’m going to show you how to make a set of tied hanging baskets. Read on, it’s super simple! 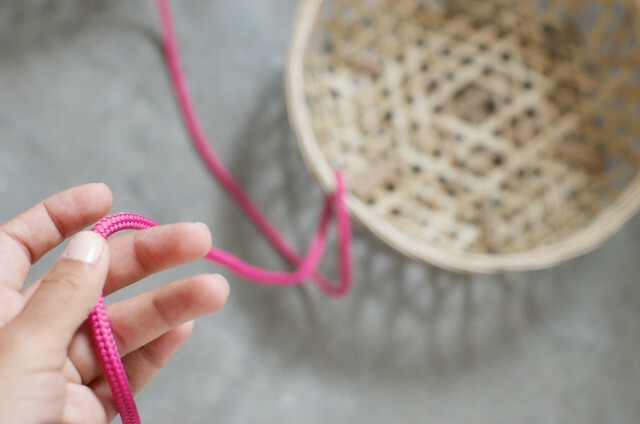 Rope (I went with dark pink rope to add a bit of colour to the design). 1. Cut your rope into three equal sized pieces. 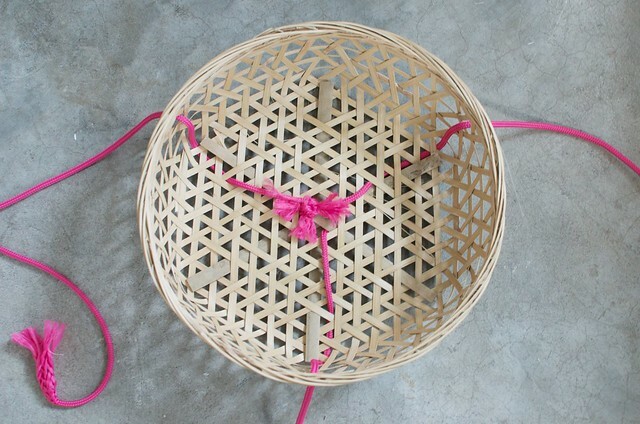 Starting with the biggest basket, push the rope through the sides and them underneath and bak up in the middle. 2. 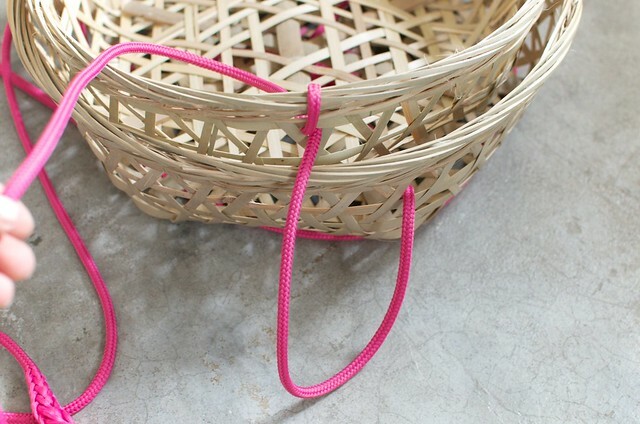 Do that with all pieces of rope and them tie in a knot in the middle. 2. 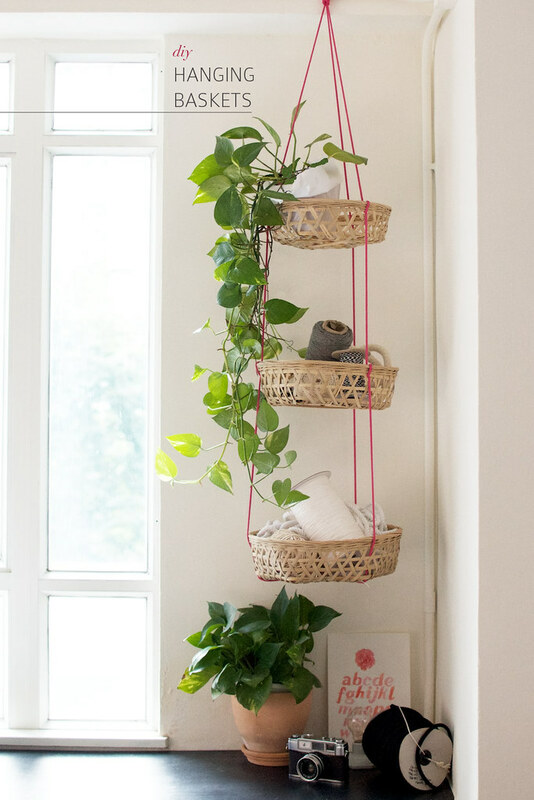 Take a piece of rope and add another basket on top, making sure to leave enough room so there’s space between the baskets. 3. 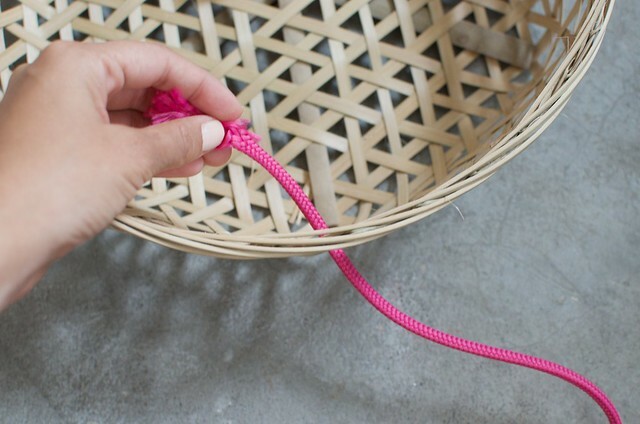 Loop that rope through the top end of the basket twice to secure it. If you feel yours might slip down at all, simply tie a knot inside the basket at this stage – I didn’t have to because my holes wedged the rope and kept it secure. 4. Do that for all of the rope. Done-zo! 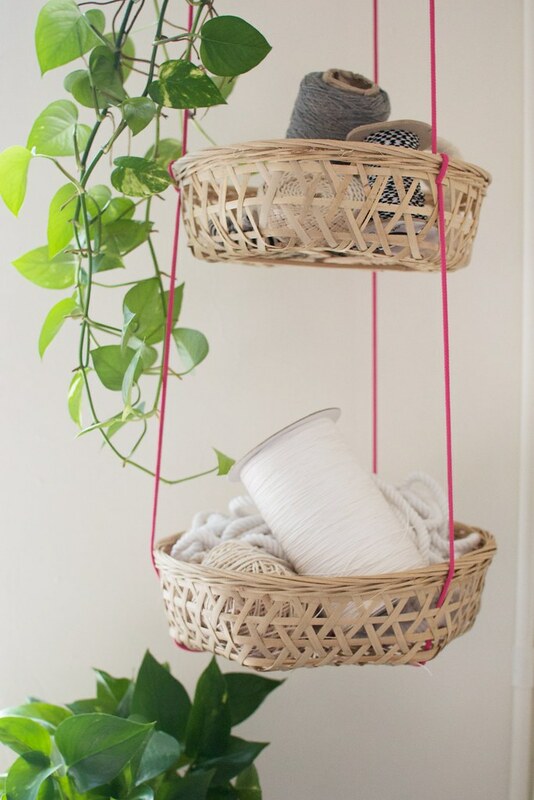 Now fill with whatever you like – fruit if you put it the kitchen or spools of rope and hanging plants if you put it in the corner of your studio because craft.